Online trolls are not giving Anerlisa Muigai peace. 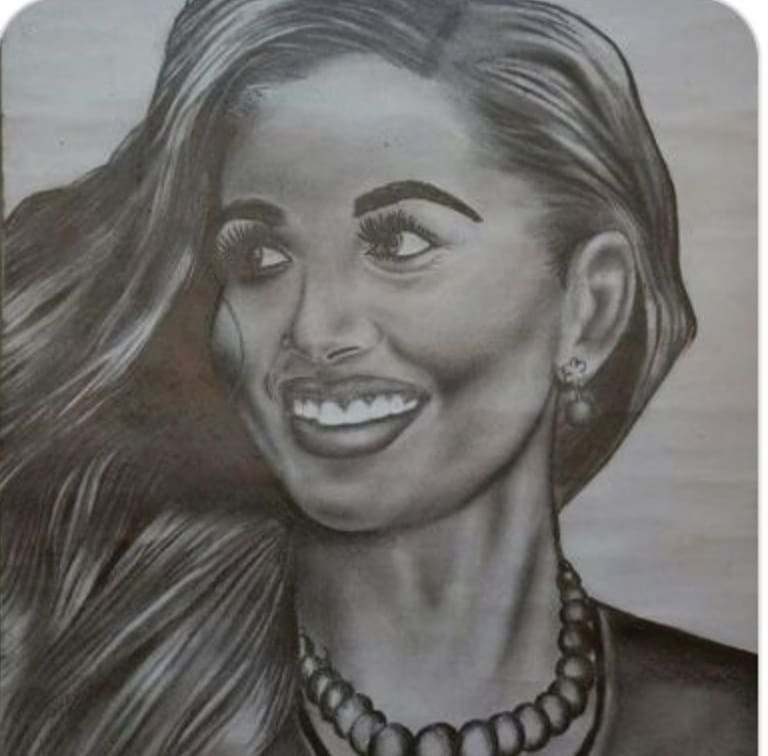 The Keroche heiress clashed with netizens because of her portrait paintings. 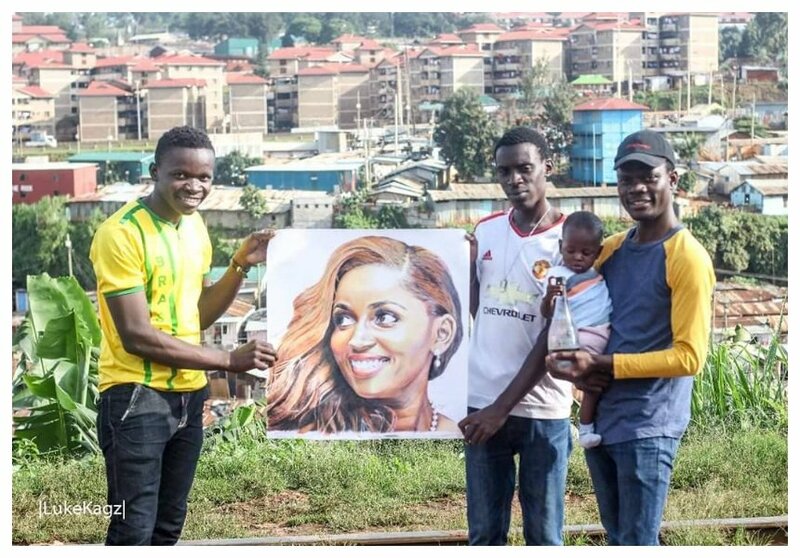 Anerlisa took to social media to show appreciation to a group of artists in the ghetto who painted her portraits. Her statement was however rubbed some people the wrong way. “I would like to appreciate every artist that took their time to draw me. It doesn’t matter the final result…it is the thought that counts. Thank you ,” wrote Anerlisa. The part where she says ‘It doesn’t matter the final result’ is what caused trouble. A certain Gatumwa sought to inquire why Anerlisa was not impressed with the paintings. “Your statement implies the final result is not all that, but it is nice,” Gatumwa commented. 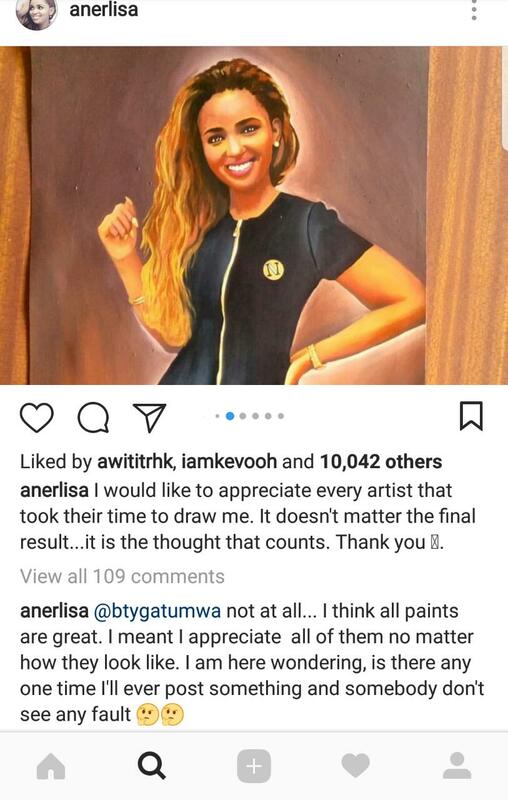 Anerlisa responded to the critic asserting her approval of the paintings. She however wondered why netizens always find faults with anything she posts. “Not at all. I think all paints are great. I meant I appreciate all of them no matter how they look like. I am here wondering, is there any one time i’ll ever post something and somebody don’t see any fault,” Anerlisa responded.